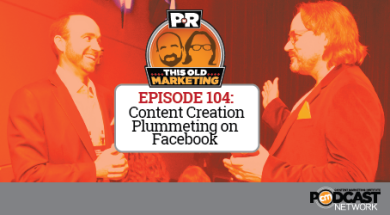 In this week’s episode, Robert and I analyze several new digital marketing statistics, including the decline of user content creation on Facebook and consumer use of wearables, and discuss the opportunities and challenges each trend creates for marketers. We ponder Doc Searls’ observations on the rise of ad blockers, and explore the thinking behind the Digital Disruptors documentary film one small agency is developing. Finally, we share what marketers can learn from publishers who are hiring “platform wranglers” to bring a more strategic focus to their online channel initiatives. Rants and raves include retailers using online data to drive what they offer in their physical stores and Activision’s decision to launch a film studio. We wrap up the show with a #ThisOldMarketing example of the week from Interface Age magazine. Nine fascinating stats in digital marketing this last week (4:00): Adweek highlights nine of the most interesting digital marketing stats from the past seven days in this article. Among the most interesting: Facebook users are becoming lurkers; 66% report they didn’t post anything there in the last three months. Robert and I discuss a variety of factors that may be contributing to this trend. Another fascinating stat: By the end of this year, 39.5 million U.S. adults will have utilized wearables such as smartwatches and fitness trackers, a 58% jump over last year. We discuss the opportunities for utilizing data from these devices to provide enhanced or personalized customer experiences. Nike’s “Your Year” is a great example of what’s possible. Ad blockers and the next chapter of the Internet (15:24): This opinion piece by uberblogger and customer advocate Doc Searls takes the Techdirt website to task for giving its readers the ability to turn off ads if they want to, but continuing to track their activity. Searls claims Techdirt is in denial about its lack of power over readers with ad blockers. I observe that people want irrelevant ads blocked but don’t seem to care that brands are still collecting data about them, while Robert thinks Searls’ description of “surveillance-based marketing” sounds too draconian. The inside story on the design disruptors documentary film (25:45): Small design firm InVision has taken on the challenge of creating a feature-length documentary called Design Disruptors, the HubSpot blog reports. This film will explore how design has risen to become one of the most important roles in modern business. Its recently released trailer has garnered international attention. Robert and I love this approach, which aims to grow the entire industry, not just promote InVision. We discuss why it can really make a difference for a small company and what risks it may involve. Publishers create new job role: Platform wrangler (31:47): The rise of the distributed publisher has given rise to a new role at media companies: the platform ambassador. This article from Digiday explores a variety of approaches large media publishers are taking to strategically manage relationships and processes with all of the major social media platforms. Robert and I wholeheartedly agree that this is the way that every marketing organization should start to think. We discuss the industrial-age thinking traps many marketers tend to fall into. Robert’s rave: Robert loves this excellent article from HBR, which outlines best practices that organizations ought to keep in mind as they think about creating digital experiences. 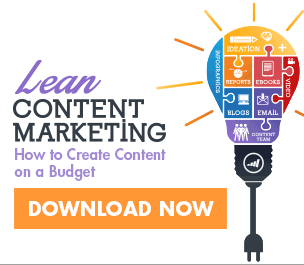 The author, Software Advice‘s CRM researcher Craig Borowski, also talks about adapting the marketing department’s structure and purpose around the creation, management, and flow of content – excellent advice that is presented in a concise, actionable form. Joe’s raves: I have three quick raves to share. 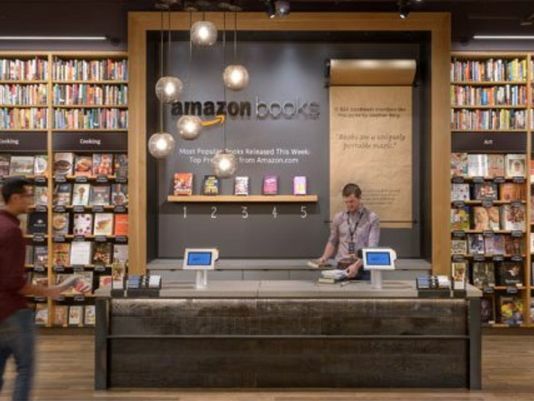 The first is an article about the launch of Amazon’s first physical store in Seattle, and how it and other retailers are using their online customer data to provide excellent in-person experiences. The second article is an announcement that Activision Blizzard is launching its own movie and television studio to redeploy its deep trove of video game characters and plots into new media. This strategy can pay off by attracting new customers to each medium. Finally, Jay Acunzo has written an excellent rebuttal of my idea that Nike should acquire the popular Grantland sports news site. As usual, his thinking is top-notch. 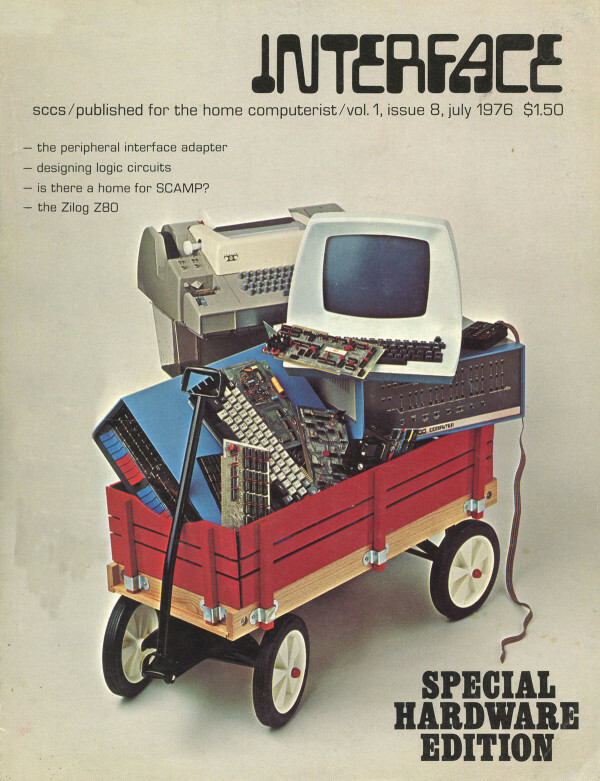 Interface Age magazine: One of the first national microcomputer magazines, Interface Age started out as SCCS Interface, the club newsletter for the Southern California Computer Society. It was immediately popular with microcomputer hobbyists and early fans of Apple Computer. After several issues, Bob Jones, of the advertising agency McPheters, Wolfe, and Jones, offered to transform it into a magazine that was on par with professionally produced publications. He made a profit-sharing deal with SCCS in which that group would provide the majority of the content and Jones would manage the publishing and marketing. The magazine was released in August 1976 with the new name, Interface. By the following year, it had been expanded to Interface Age. That remained its name through the rest of its run, which ended in 1985. The Apple II History website contains some fascinating quotes from an interview with Steve Jobs in the July 1976 issue. It’s a great story of how a publication produced by a nonprofit evolved into a successful magazine. It’s a terrific example of #ThisOldMarketing.